In January Honor And Valor Foundation staff attended the 2015 SHOT Show in Las Vegas. Those attending were President Andy Dwyer, VP Larry Dwyer, PR Director Chad Smith, Media Coordinator Julie Hathway and Outfitter Alan Flanders. It was a very busy week however our staff was prepared for the task at hand. We approached many vendors about selling products in our online store and got a lot of positive responses. We also had the opportunity to visit with those that have hunting shows on television. 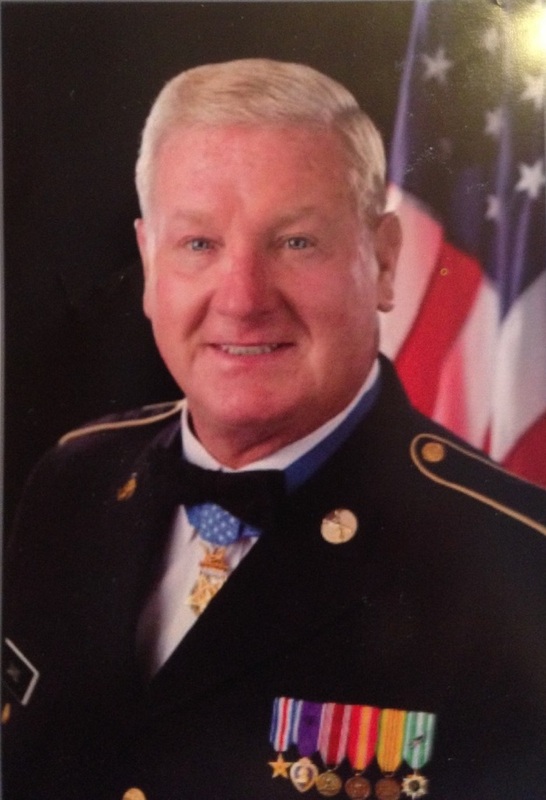 It was an absolute pleasure to meet and get photos with Medal of Honor recipient, Sergeant Sammy L Davis, U.S. ARMY. Andy had some high level meetings with those that can really help the foundation in the future. A great big THANK YOU goes out to Brandon Still and Greg Dilone’ of Cartblinds in Michigan for donating four blinds. These blinds will be used on the Miracle Acre Farm in NC for our spring turkey hunts. Alan Flanders has made great strides in developing our deer hunting lands in Iowa. He and Victor McCall will continue this work this spring. Alan and Victor will conduct turkey hunts for Veterans and youth also. Alan’s buddy Lance, who is in the Air National Guard, will assist them. Outfitter Roy Gore has two booked two hunts for two Marines in NC. We also have an Army Vet and his sons scheduled for turkey hunts. Roy also has obtained permission to hunt a farm in Columbus County, NC that has been in the owners’ family for 100 years and is considered private. More great things are coming to Honor And Valor Foundation this spring, so stay tuned for updates! social media strategist. email marketing consultant. shop local enthusiast. "live on purpose, not by default"